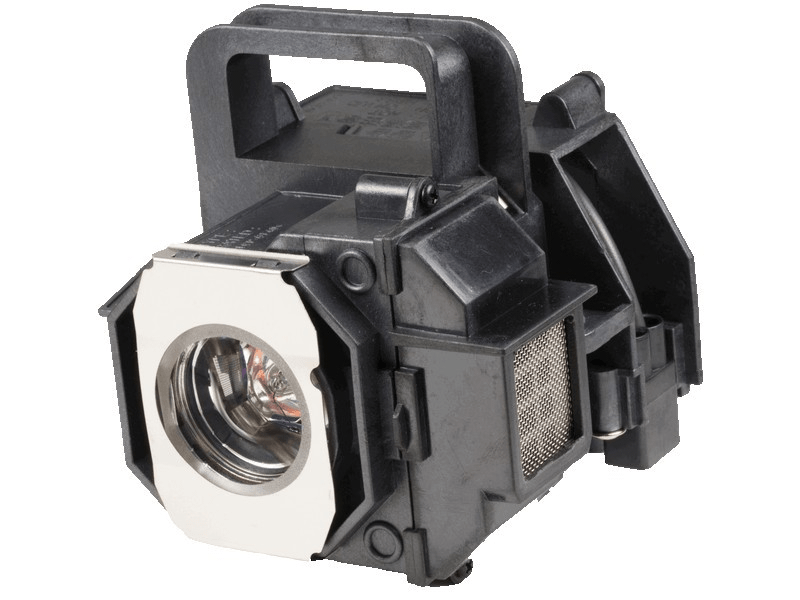 The Epson ELPLP49 projector lamp replacement comes with a genuine original 200 watt Osram bulb with a rated brightness of 2,000 lumens and a rated life of 4,000 hours (the lumen rating and lamp life are equal to the original Epson lamp replacement). Our Epson ELPLP49 lamp replacements come with a high quality Osram bulb with main components made in Germany. Beware of cheaper lamps made with generic bulbs that have lower quality, lower light output, and reduced lamp life. Trust Pureland Supply with a 5-star Google customer review rating, 6 month warranty, and Free UPS ground shipping. This lamp is guaranteed to be in stock and will ship today (orders placed weekdays before 5pm). ELP-LP49 Epson Projector Lamp Replacement. Projector Lamp Assembly with High Quality Genuine Original Osram P-VIP Bulb inside. Lamp works great and arrived on the day they said it would Excellent service. Great replacement bulb. Not perfect, as I've had some spots, but they are very unnoticeable. I will buy more of these replacement bulbs again. OK, I was skeptical that this would be as bright and operate as well as the original, but at a much better price. It installed easily and works great so far, so very pleased. Great, knowledgeable customer service. Quick delivery and worked PERFECTLY!! Top quality product, not one of those cheap knock offs.